Weighted Blanket Autism Benefits – Can It Really Help? Autism spectrum disorder (ASD) is a condition affecting a child’s development. The condition affects the behavior and communication. It can be diagnosed at an early age, especially in the first two years of life. Many children with autism have difficulty with sensory issues, particularly with processing the information from the five various senses – touch, taste, olfaction, auditory, and vision. Though they can sense the information, these are perceived abnormally. As a result, certain sensory information may cause discomfort, confusion, and distress. In the United States, about 1 in 59 children has autism spectrum disorder (ASD). It’s four times more common among boys than girls. Many parents today are looking for ways to help their children with autism. One of the problems these kids are facing is a sleep problem. Weighted blankets, which have been used in various conditions such as anxiety, insomnia, and sleep disorders, can significantly help children with autism sleep better. Weighted Blanket Autism Benefits – How Does It All Work? 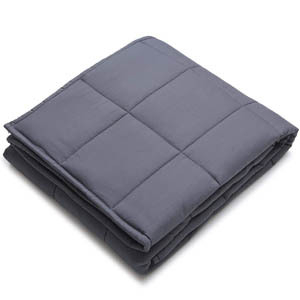 A weighted blanket is considered a sleep tool because it can help people sleep better. 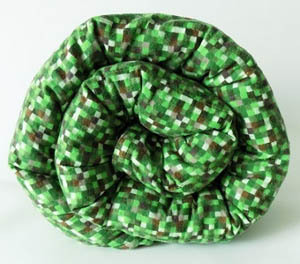 It’s basically a blanket with some extra weight, as what the name implies. The weighted blanket has many variations, like its weight. If you’re choosing the right one, you make sure its weight is 10 percent of your body weight. Another variation is the material used to weigh it down – plastic pellets or glass beads. The company can choose which one is better for their clients, but glass beads are more expensive. Weighted blankets offer deep touch pressure stimulation, a kind of touch pressure that mimics the feeling of being hugged firmly. It’s like you’re being cradled, massaged, or swaddled. As a result, the brain produces a feel-good hormone called serotonin, which has been linked to helping people with autism, anxiety, stress, and other mental health issues. They are also proven to help children focus better and relieve some of the symptoms of ADHD. How Can A Autism Weighted Blanket Help? Children with autism have a problem filtering sensory input from the environment. This is due to a problem with one of their senses. As a result, the nervous system sends abnormal messages to the brain. Since the brain has a difficult time organizing the information acquired from the different senses, it does not receive accurate information. The brain and body will feel unsafe, triggering the fight or flight mode or survival mode. But, most children with autism can’t soothe the fight or flight response, making them unable to sleep at night and they become unsettled or anxious. This is where weighted blankets come into the picture. Deep touch pressure stimulation has been dubbed a very effective way to relax and calm the body and the brain. It provides the feeling of being hugged, cradled, cuddled, and swaddled, just like a safe baby. This stimulates the production of serotonin in the brain, a feel-good hormone that regulates the mood and boosts relaxation. DTP helps children with autism to relax and become calm, especially when they have their meltdowns. One of the first reasons why parents with an autistic child buy a weighted blanket is to improve sleep. Lack of sleep and difficulty staying asleep are very common in children with autism. 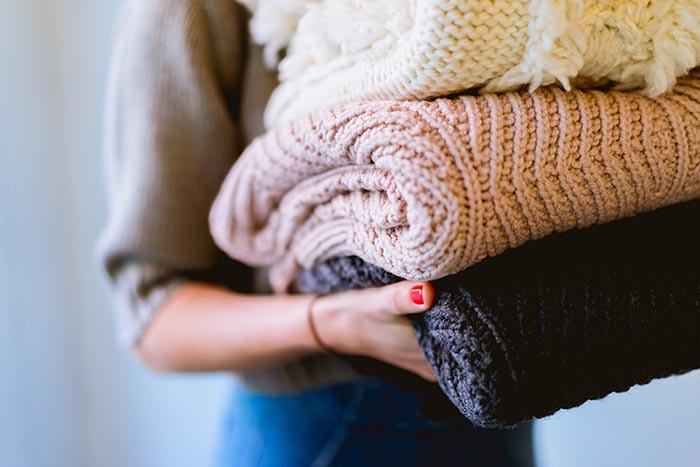 There are a few reasons why weighted blankets can help them sleep better. First, just as mentioned above, weighted blankets increase the release of serotonin in the body as a result of deep touch pressure. Serotonin helps in making the child feel safe, calm, and have a stable mood. Also, serotonin aids in the release of melatonin, a hormone that controls the body’s circadian rhythm or internal clock. It tells the body that it’s time to sleep and it’s often based off of the current sleep schedule. In children with autism, however, they tend not to produce melatonin very well on their own, giving them a hard time establishing a natural sleep schedule. 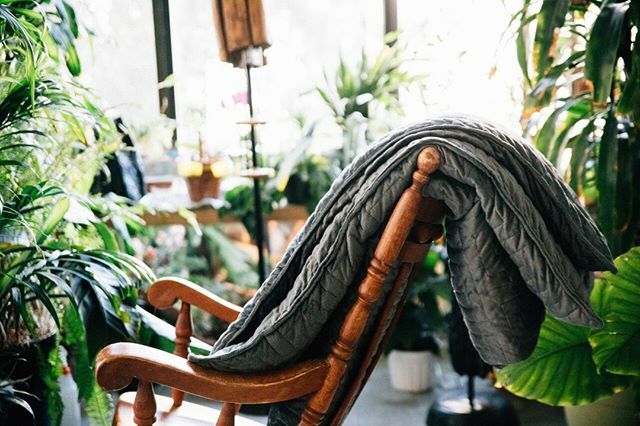 Weighted blankets also work by calming down the nervous system and they’re effective in tapering down anxiety symptoms. Children with autism may feel anxious at night, hindering them from sleeping well. Lastly, due to the weight of this blanket, it reduces tossing and turning at night, which is common among kids with autism. Weighted blankets help children with autism in many ways. Aside from helping them sleep better at night, these blankets aim to increase serotonin levels, which are low in autistic children. Hence, they feel calmer and more relaxed. Children with autism may have a hard time with sleep and processing sensory input. Due to the relaxing feeling brought by weighted blankets, these children can sleep faster and better at night. As a result, they’ll be healthier and happier the next morning. Also, since they feel calm, there are reduced meltdowns and tantrums. An autism spectrum disorder is a very complicated disease, but with the aid of weighted blankets, it can reduce complications and symptoms, improving the quality of life of the children afflicted with the developmental disorder.